PORSELYNNKAS : DOKIEMENTÊR has arrived! No budget. A week to shoot. Anything can happen. Porselynnkas Dokiementêr has been discussed on SABC 1 and has been selected for the Grahamstown Film Festival. A pre-launch event, for selected guests, will be held at the Klein Libertas Theatre in Stellenbosch on the 3 May. Matthew Kalil follows artist, clown and performance poet Sjaka S Septembir as he hunts down old members of Porselynnkas, cream pies them in the face and laughs at some serious questions about memory, rebellion and the vigor of youth. Was Porselynnkas a groundbreaking counter-cultural art movement within Afrikaans theater, like Bitterkomix and Fokofpolisiekar? Or was it just an excuse for dyslexic poets, starving artists and dirty musicians to get girls naked? Banned by the local radio station, loathed by the Church and considered out-of-bounds at high schools and certain coffee shops, Porselynnkas, a Stellenbosch art movement nevertheless executed 34 poetry happenings, distributed 21 poetry volumes, made music, broadcast a radio drama and caused anarchic chaos in the theatre community between 1996 and 1999. Porselynnkas Dokiementêr is a 52 min fast-paced ride hurtling inevitably to a climactic final Porselynnkas happening. Will Sjaka’s friends pitch up? Will we find footage of the group’s previous performances? What about the question of the White Rabbit? Who is real? Who is lying? What is truth? Who cares? Porselynnkas Dokiementêr features many Afrikaner counter-cultural icons such as Toast Coetzer, Gert Vlok Nel, Asha Zero, Deborah Steinmair, Floyed de Vaal, Alex Omega, Francois Weideman and others who all try and pretend to care about these issues. Gertjie Basson (Mr Cat and the Jackal), Melanie Basson, Toast Coetzer and others will perform live at the event on the 3 of May. Watch the trailer on youtube and the opening sequence. 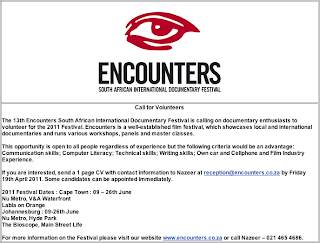 Please click the image to read the details or visit the Encounters web site. 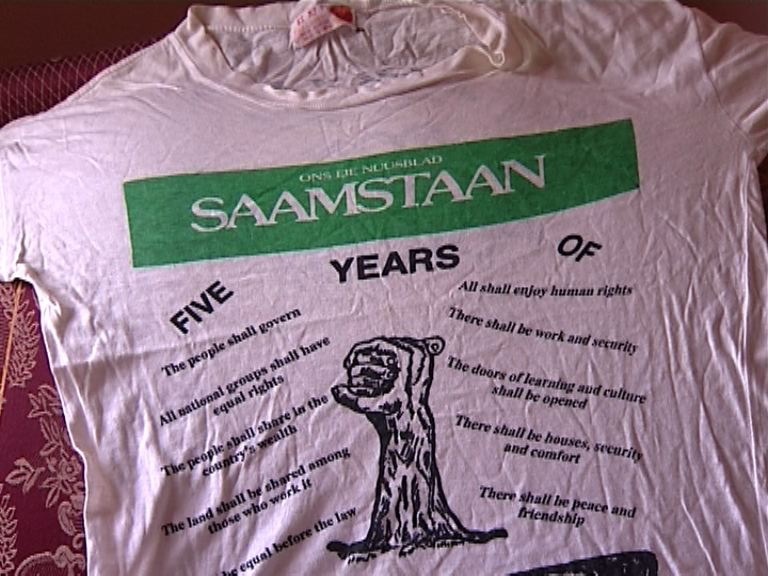 Saamstaan Again is a 24 minute documentary about a little newspaper that had a major effect on the lives of those in the Southern Cape and Karoo. Being a multi-language newspaper, opposing government’s hypocritical Apartheid regime in the 1980’s, Saamstaan set the benchmark for journalists fight for freedom of speech. In this film we follow four journalists as they tell their story of how this newspaper, based in Oudsthoorn, made a big difference in its community. Saamstaan spread through Oudsthoorn and George but reached hearts and homes beyond the borders of the southern Cape. Fighting for freedom through words, these journalists changed politically manipulated mindsets for liberty and fairness. T-shirts hidden in freezers and court cases before the wedding day. These journalists fought for freedom of speech with everything they had. Saamstaan Again will be broadcast on SABC 2 at 20:30 on the 8th of May. It is part of the Kevin Harris – From the Edge – documentary mentorship series. Please see below the schedule for the From the Edge Documentary Mentorship series, headed up by Kevin Harris. My documentary, Saamstaan Again, will be broadcast on the 8th of May on SABC 2 at 20:30. The series starts on the 24th of April. Please pass this e-mail on to your contacts. Thank you for supporting local film! “Zimbabwe - Past the Post .... on a dark horse" - 24 min Episode 1. “Zimbabwe - Past the Post .... on a dark horse" - 48 min Episode 2. 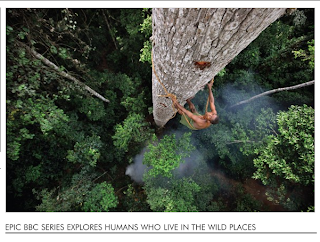 Human Planet, the BBC Natural History Unit’s new eight-part epic series about humans who live in the wild places, follows in the footsteps of the acclaimed Planet Earth and Life. With over 70 stories produced over a three year period, the series explores the lives of people who have adapted to some of the remotest places on earth. 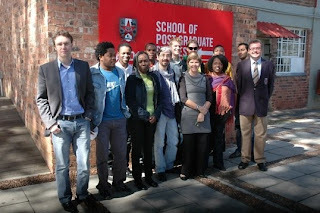 Series producer Dale Templar was recently in South Africa to promote the release of the DVD box set. Narrated by John Hurt, each of the episodes focuses on a different habitat: oceans, desert, mountains, rivers, jungles, grasslands, arctic and cities. Superlatives fail in attempting to describe the sheer scale and innovation of this series. Astounding cinematography and location sound ensure the viewer feels as if they are alongside the characters, experiencing the adrenaline of a last-minute escape from dangerous waves crashing against a cliff or the desperate isolation of an underwater diver waiting on the seabed for relief from the bends. “We brought together skills in anthropology, documentary filmmaking styles and blue-chip wildlife, so the look is a combination of the hand-held, on-the-shoulder style of documentary blended with the epic shots you expect from BBC wildlife films,” says Dale. In terms of post-production, the series is edited at a slightly faster pace than usual in The BBC’s natural history programming, although there are still those one-minute shots that take time to unfold. Some friends and I are building a 4 meter sculpture of a steel left hand, which holds up 45 computer monitors (approx), displaying video. 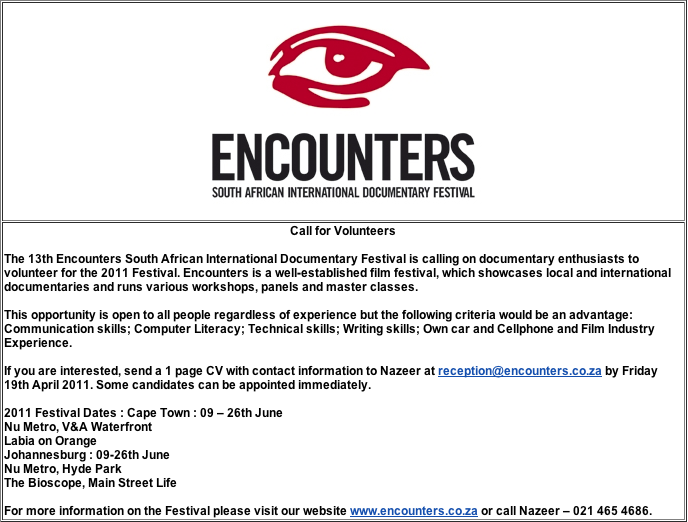 This will go to the AfrikaBurn festival, and I have also approached the 'Encounters', 'Durban Intl. Film Fest' and 'MediaTech' events which are reviewing it (everybody thinks its a great idea). I'm emailing you the creative proposal (with themes) to see if any documentary filmmakers would be interested in adding content to the piece. They are welcome to add footage, though the piece does not play back sound. It would loop video, and it has 5 source signals. The themes of video is described in the attached creative proposal. I understand that the majority of documentaries are narrative more than visual driven, but many documentary makers would have tons of footage lying around and might have some very visual pieces to contribute. Thank you for your submission to the Copyright Review Commission (the Commission). The Commission will be conducting public hearings at all 9 provinces from the 15 April to 31 May 2011. This serves as an invitation to you and your organisation to the public hearings of the Copyright Review Commission. Kindly confirm if you are still interested in making oral submissions and also indicate in which province you would like to attend. NB- KINDLY PASS THIS MESSAGE TO ANY PERSON OR ORGANISATION WHICH MAY BE INTERESTED IN ATTENDING OUR PUBLIC HEARINGS. RELATE – a popular factual entertainment show on SABC1, created and produced by Ochre Moving Pictures in Johannesburg – will feature in the line up at INPUT 2011. It is the only entry from Africa to be awarded this accolade. "To be selected for INPUT is a great honour," says Ochre Moving Pictures' CEO, Stan Joseph. 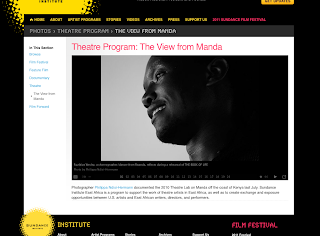 "This is an international forum that recognises innovation in public broadcasting. It's a platform for excellence where industry peers meet and share experiences and vision. This year themes include political independence, craftsmanship, responsibility and visual ethics, education as a priority, and multi-platform execution." RELATE will feature in the Reality TV session under a rather provocative heading: 'Why Should I Bother? TV as a Playground for Personal Missions'. Other reality discussions will be held under the banners of 'Shaping Reality: From the Real World to Reality' and 'Violence on TV: How to Deal with the Dark Side of Mankind'. The annual INPUT festival calls on television programme makers working in all genres to submit challenging, daring productions. As the festival's mission statement declares, "INPUT is dedicated to the proposition that television should be public service in the public interest… Access to the most honest, innovative, provocative, courageous and challenging broadcasting is a universal fundamental human right." RELATE is a popular primetime television show that takes a hard and honest look at troubled relationships, and attempts to bring people back together. Key to RELATE is the frank talk from the show's presenter, Angie Diale, a social worker and real life counsellor. "Angie is an incredible asset," says Executive Producer, Anton Burggraaf. "She does not mince her words in her role as counsellor and agony aunt. Angie tells it like it is and this is the appeal of the show. She's passionate. People trust her. So they are often willing to go the extra mile to reshape their relationships." The festival is hosted by a different city each year and this year it is the turn of Seoul, South Korea, from 9-12 May. Around 300 productions were submitted and 87 programmes from 27 countries will feature on the festival programme. The conference is organised and jointly hosted by two South Korean public broadcasters KBS and MBC. INPUT is the only festival of its kind in the world. Ochre Moving Pictures is a leading Johannesburg television production company with a string of well known shows (Scandal, Kwanda, Takalani Sesame) to their name and have received multiple awards and accolades for their productions. The 3rd edition of the Beach Festival of Documentaryy helds from 9 to 16 July 2011 at Kribi in Cameroon, under the theme : Documentary and development. Are presented African documentaries (made by African professionnals) and documentary films made on Africa (directed by filmmakers of other continents). Registration of films is opened. The deadline of registration is fixed at the latest 30 April 2011. To download the film registration form, go to the website in English : www.beachfestival.co.cc or http://beachfestival.host22.com/ and click « Register a film » on the left. A workshop seminar-Classes will be organized during the festival. Candidates should fill the form (emailed to DFA members on 14 April 2011) and send it back by mail with adding elements. The deadline of registration at the workshop seminar-Classes is fixed at the latest 30 April 2011.
http://beachfestival.host22.com/ and click « Workshop seminar » on the left. AFRICADOC sets out to fulfil the need to create the platforms for Africans to have their own voice and to present their own perspectives of the realities of their continent. 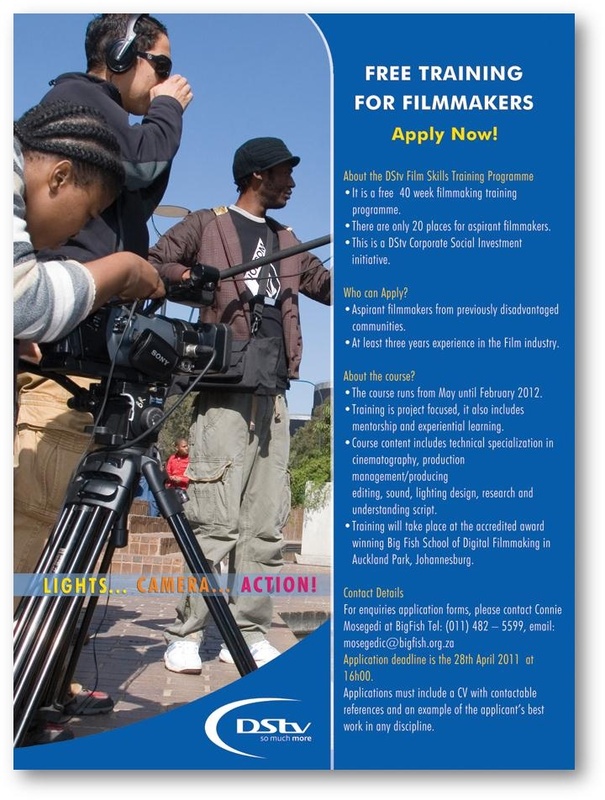 The programme, through the development of African documentary cinema, aims to develop a training network to meet the needs of a new generation of documentary filmmakers, and to set up a network of professionals working in the documentary industry. Founded in 2002, AFRICADOC has a proud history of success in French speaking Africa, and this year ventured into the English speaking African territory, launching its first South African session with a documentary writing residency in Johannesburg. The filmmakers were selected by a committee, based on their project as well as their potential in terms of conveying a strong sense of direction and point of view. The idea was to develop their talent and vision through writing, and to position them as real "authors" who can deliver a unique film where they, as filmmakers, will be held accountable both for form and content. One of the strengths of documentary filmmaking is its diversity in form and style. From diary films and direct cinema or ‘cinema verite’ to archival histories and scientific essays, documentaries present audiences with a perspective on real events. Documentary filmmakers, through real characters and the raw material of real life, no less than narrative screenwriters, strive to tell strong, often character-driven stories that have a narrative structure that keeps viewers actively engaged. According to French filmmaker Jean-Luc Godard, “even the purest documentary is fiction” while German filmmaker Werner Herzog believes the “ documentary is just a ‘feature film’ in disguise.” Bill Nichols historian and theoretician of documentary film states that “every film is a documentary”. Story helps define documentary and separate it from visual material that simply documents an actual person, place, or event. A documentary is not an intellectual tool but an emotional one – the audience gets it through their emotions. that belongs to the filmmaker and this links to how he tells his story. Participating filmmakers were encouraged to take a stance in the evidence they put forward representing reality and to view cinematographic language as an end in itself. This workshop put forward notions of a moral stance in which the filmmaker has to be honest and accurate in his /her use of material. Therefore the representation of reality should not be betrayed through the process of filmmaking. What is offered to viewers must have the value of truth. Not ‘the truth’ but one truth. 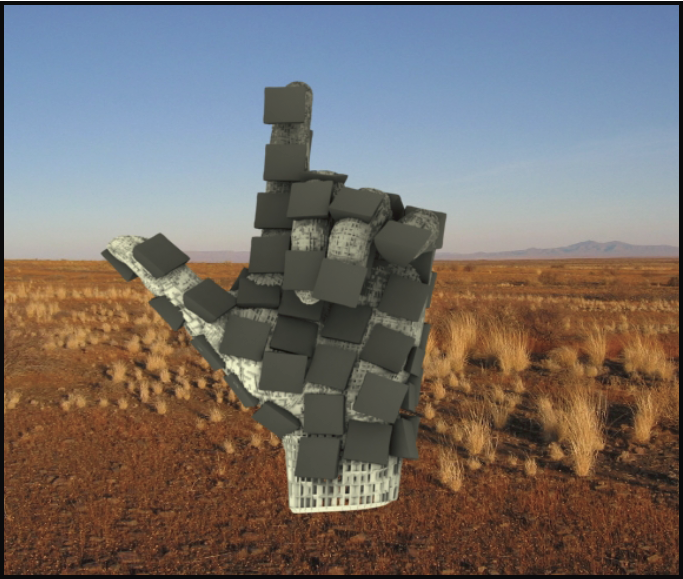 The moral stance of the filmmaker is not to manipulate reality with a set of pre-existing ideas, but to question reality and watch reality react, setting self aside. Participant Maanda Ntsandeni stated: “We must spend more time with the story, asking questions and unravelling it. To make a film is a privilege and not a right. We should always go into films knowing our position. We must be accountable. We must embrace the story and make it our own”. A well-completed documentary film is always the representation of the strong and accurate relationship between what has been filmed and the filmmaker. 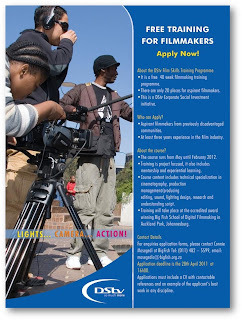 Eight Southern African documentary filmmakers took part in the first documentary scriptwriting workshop and residency in Johannesburg. By the end of the residency, four filmmakers were selected to participate in a second, and more intensive writing residency in Senegal before presenting to African, European and Canadian producers at the Tënk Encounters in Saint-Louis (Senegal).